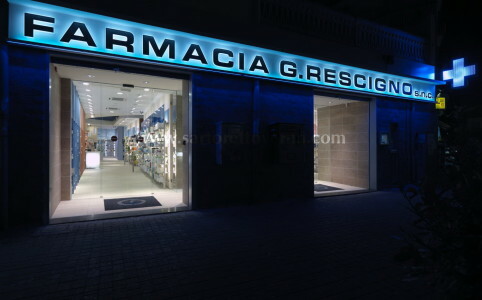 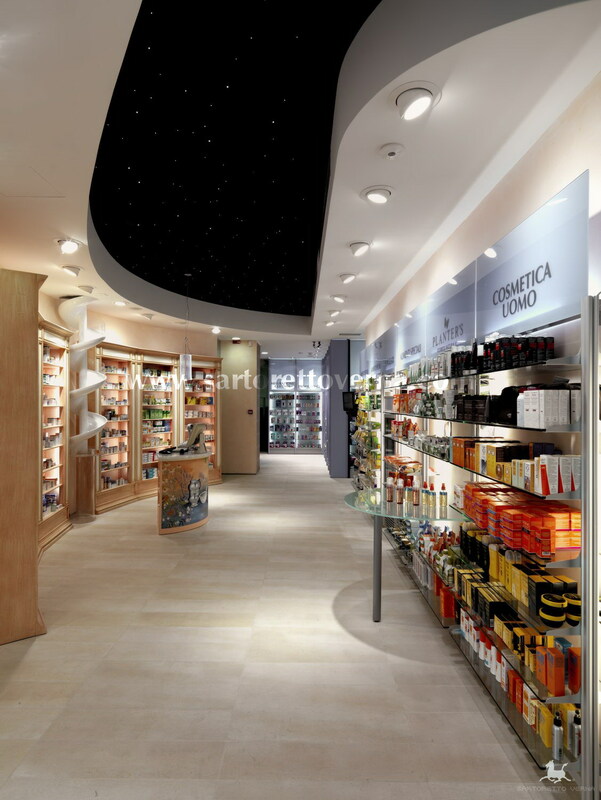 Located on the busy, store-lined street of Via Trento in Salerno, the Giacomo Rescigno & C. Pharmacy is the result of a project strategy that was developed over the years, through a careful analysis of pharmacy data, customers and the market. 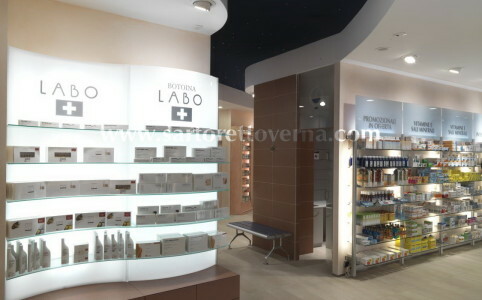 The new 350 sq. 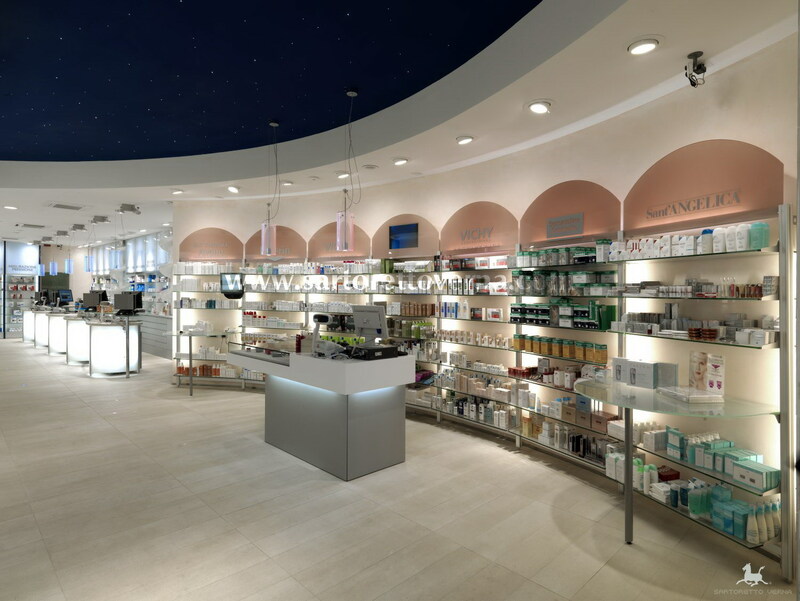 m. pharmacy, which is located in a former supermarket, has three large windows, two of which overlooking the main square, offering an ample view inside the pharmacy and attracting passerby’s and customers. 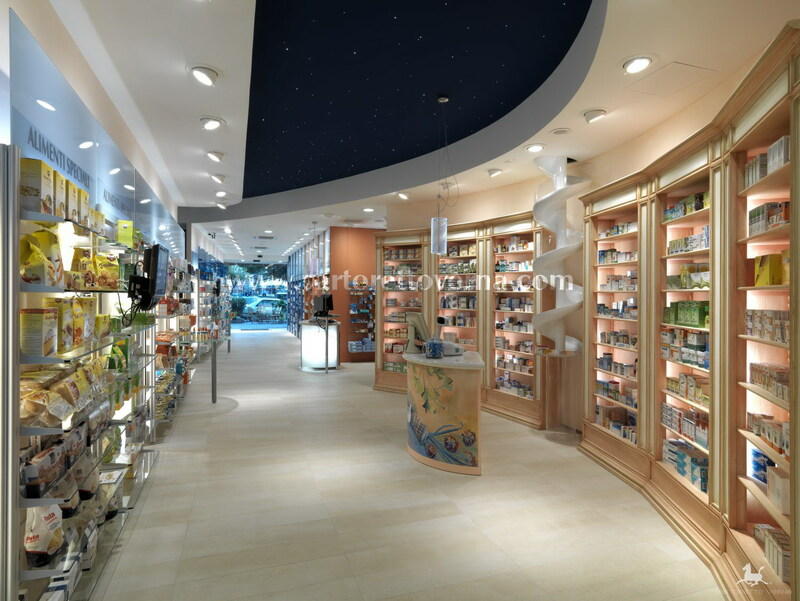 Two long display aisles, separated by a wide variety of services, guiding customers through clear and easily recognizable product sectors. 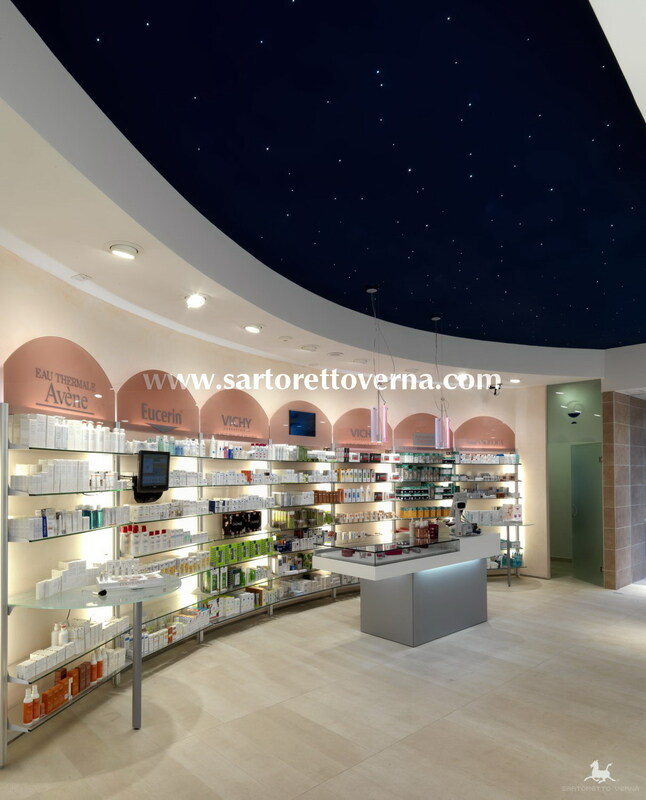 A starry blue sky, lit by fiber optics, exuding quality, professionalism and advanced technology. 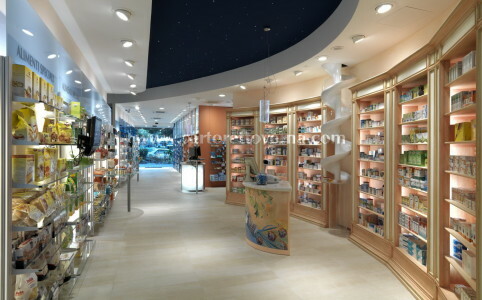 A welcoming and intriguing atmosphere. 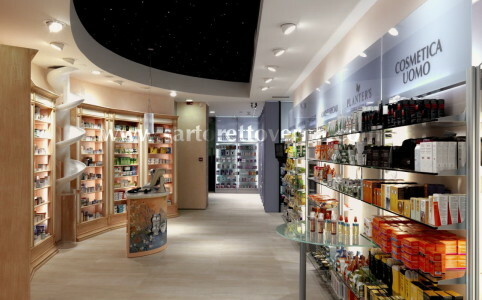 A vast selection of products and services, effectively communicated with simplicity and clarity. 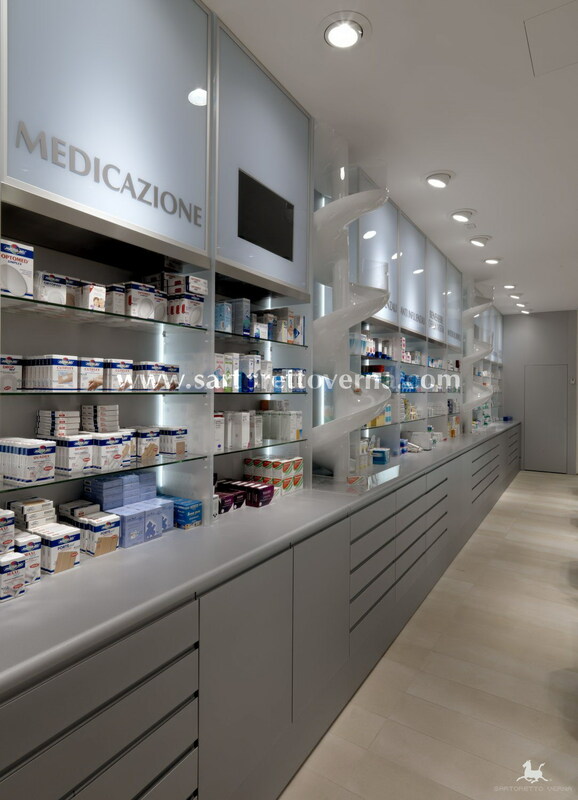 The goal is to build trust with customers, strengthen relationships, and get to know each one of them day by day, paying careful attention their specific needs, offering a pharmacy where people come first. 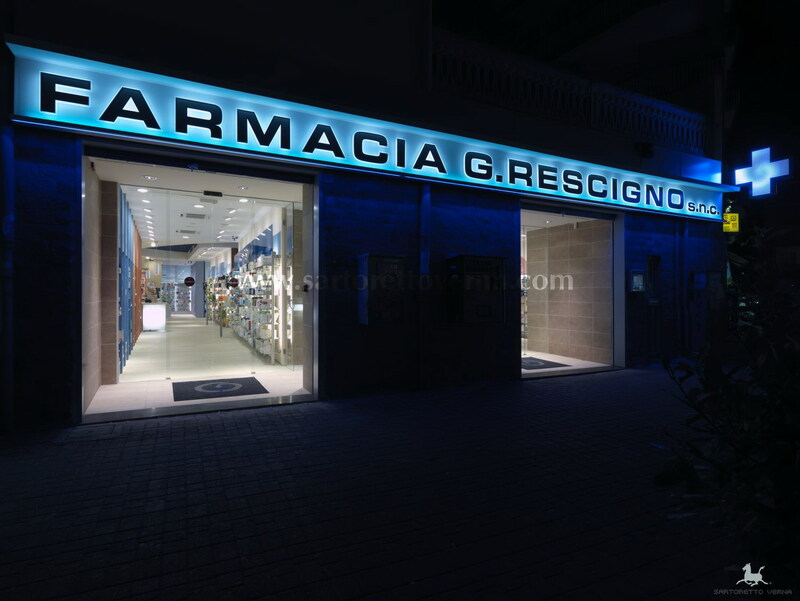 In the words of pharmacy director Giacomo Rescigno, “The objective is to create value, day by day. 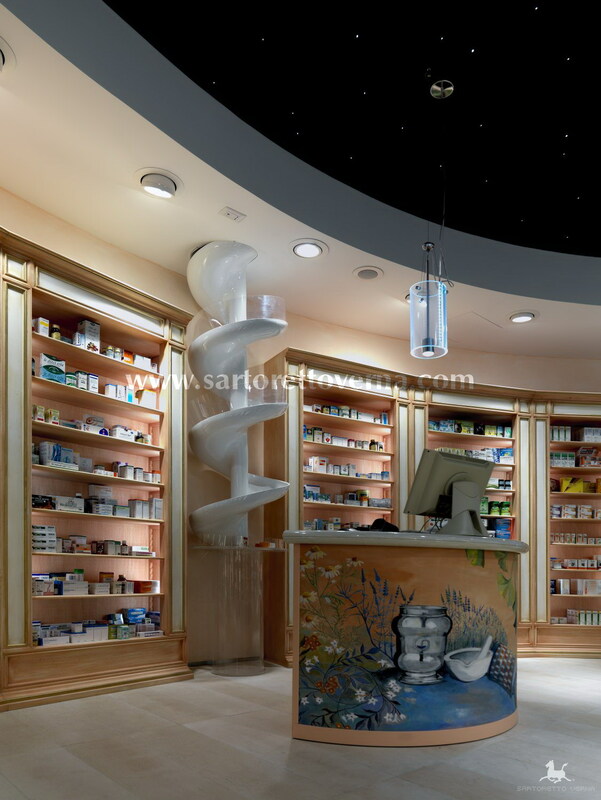 In order to achieve our goal, we have created something unique, through an automated process. 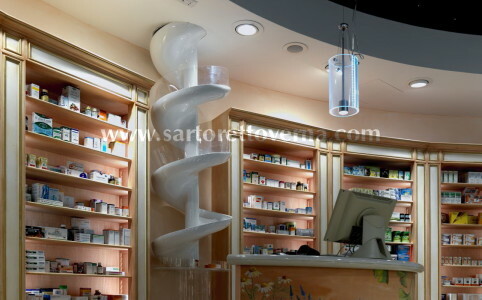 In this pharmacy, pharmacists operate machinery so that medication can be transported to the different sectors. 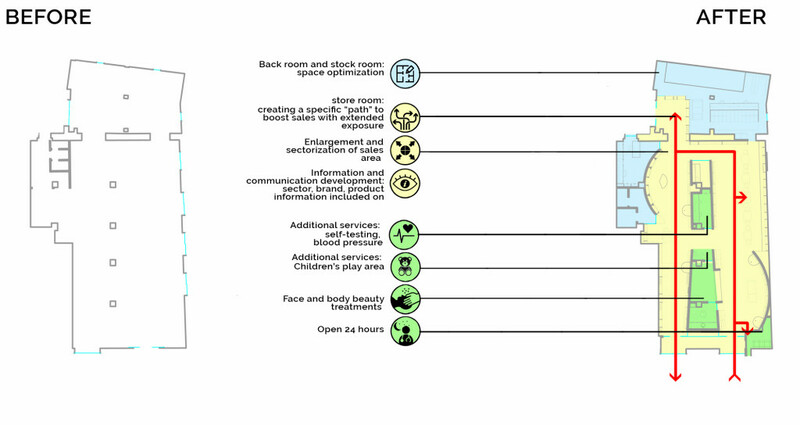 This allows us to guarantee privacy to our customers. 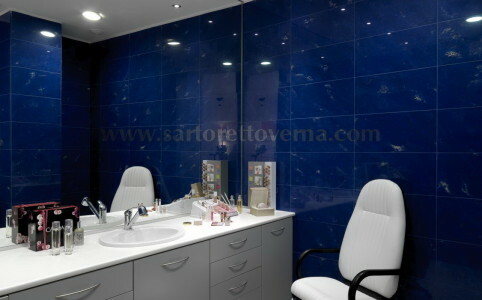 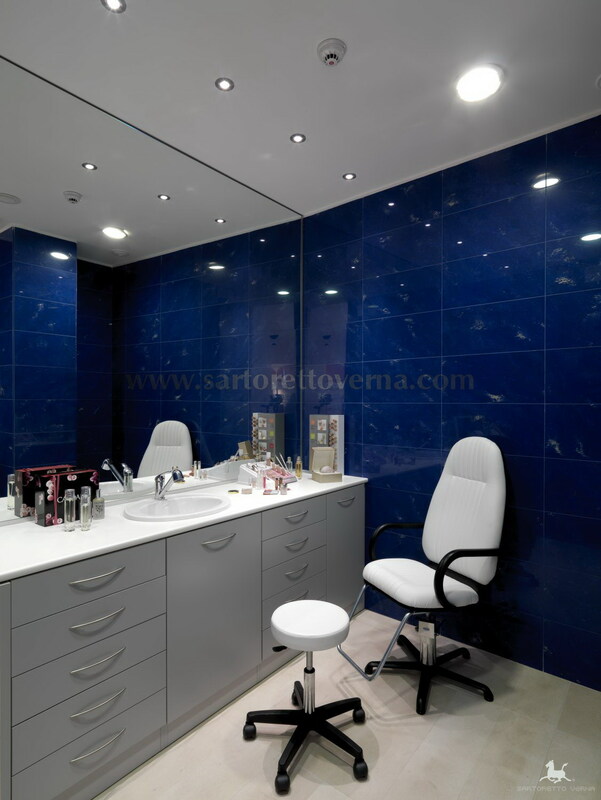 Our staff is experienced and there is a manager for each department.” Partitions and closed areas offer meeting places where customers may request information and consultations in a private environment. 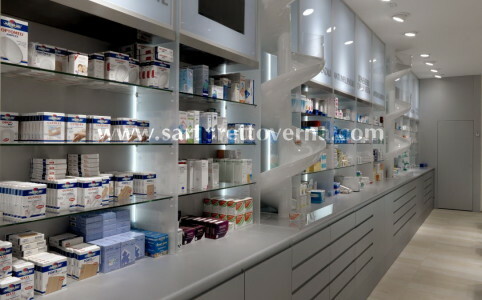 The goal was achieved by removing unnecessary elements, so that customers may form a relationship with the pharmacist, a person who can provide information and answers to their questions. 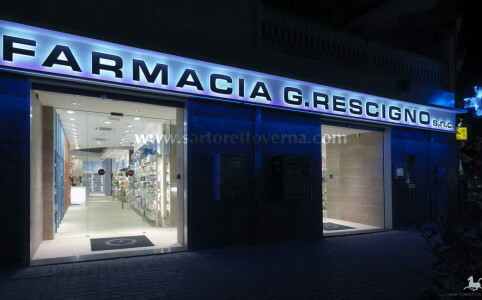 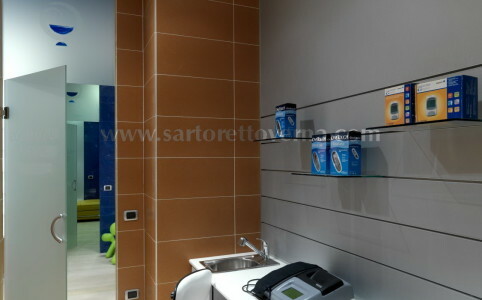 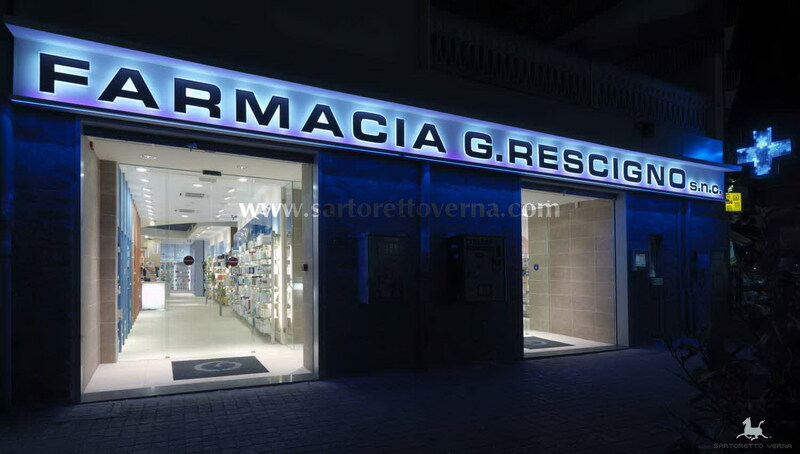 The Giacomo Rescigno pharmacy revolves around these two key elements and features a 280 sq. 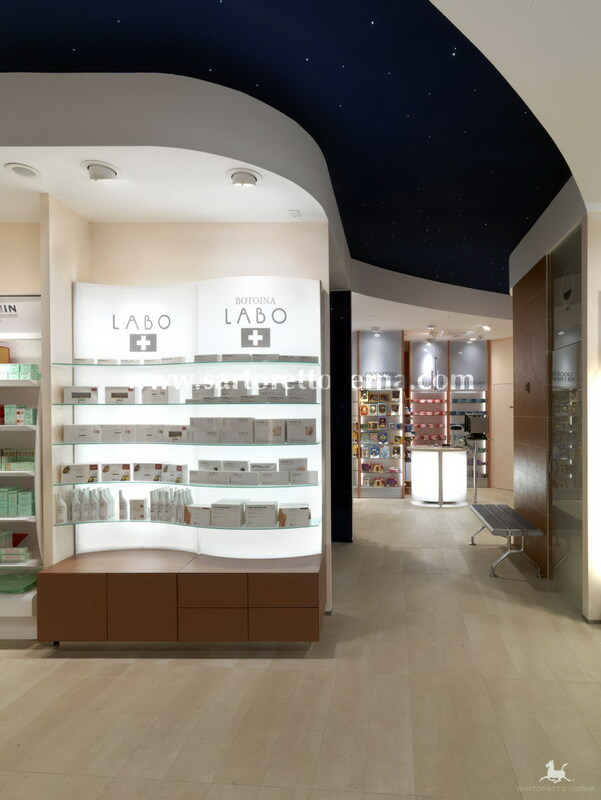 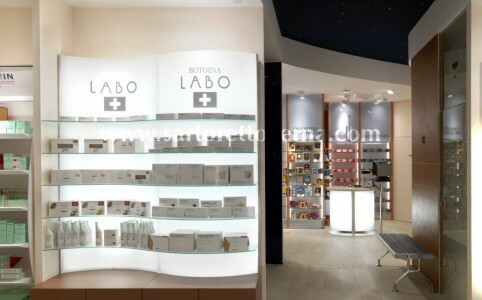 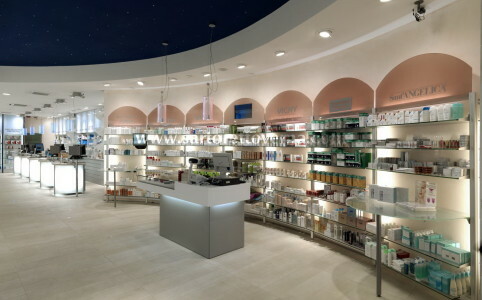 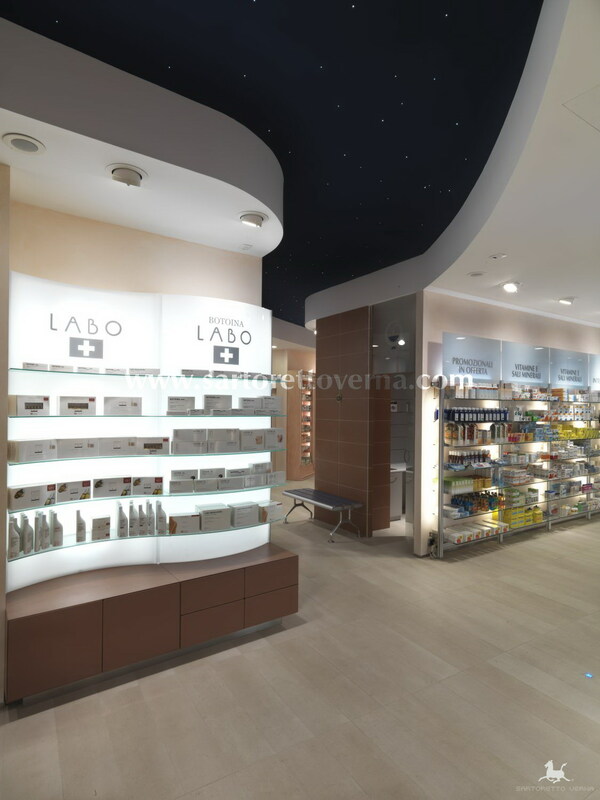 m. store area, a 500 lm self-service display area, 4 different consultation rooms (blood pressure, self-testing, facial care and body treatments), 4 separate product areas (ethical, beauty, natural, baby care), each connected to the stock room through an automated medication system. 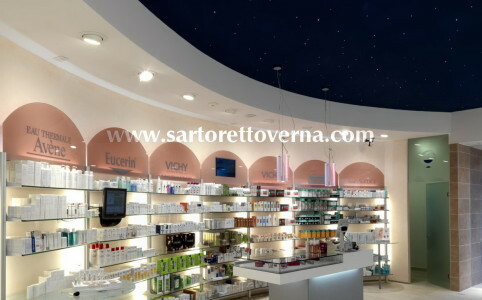 “We get to the heart of things in order to reach out to our customers.” It is a third millennium pharmacy in the Campania region.